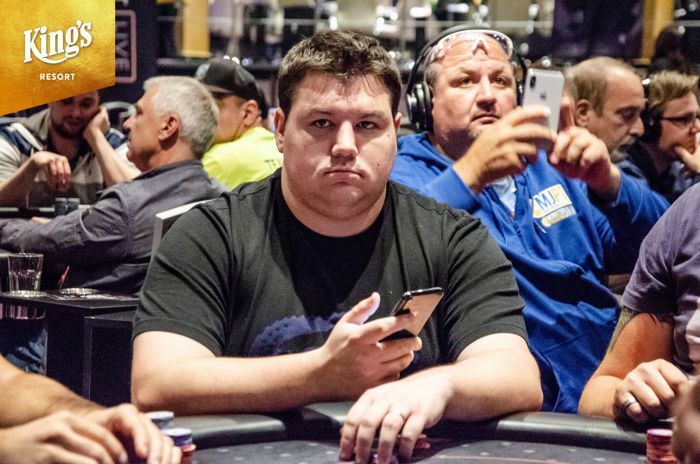 Shaun Deeb and Allen Kessler did not survive Day 1A of the COLOSSUS at WSOP Europe. The first of 10 official bracelet events of the 2018 World Series of Poker Europe is off to a good start at the King's Casino in Rozvadov, as Day 1A of Event #1: €550 COLOSSUS No-Limit Hold'em is in the books. 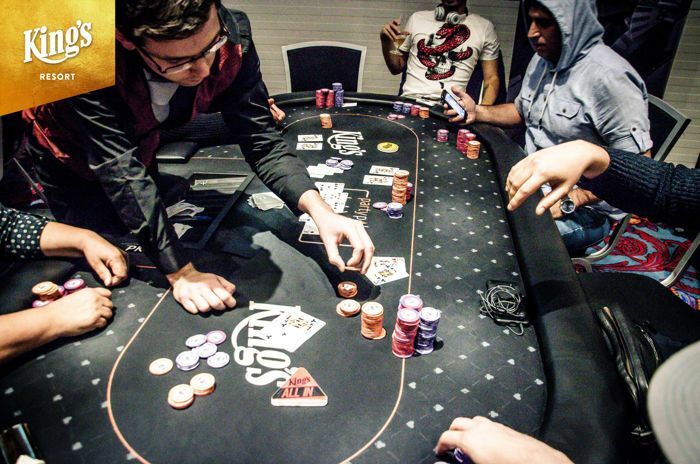 The first of eight starting days saw a field of 154 entries emerge, consisting of 123 unique players and 31 re-entries. After 18 levels of play, only 12 players bagged up and secured their seat for Day 2 on Sunday, October 14th, 2018. A portion of the Day 1a prize pool has already been claimed as the top 24 spots were paid. 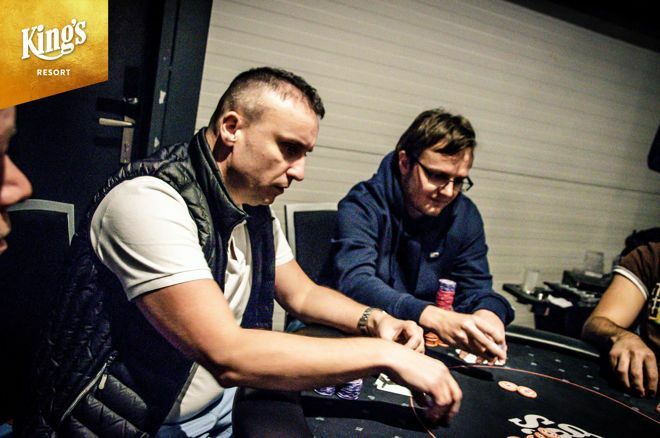 Leading the field after Day 1A is Poland's Dariusz Glinski (lead image) with 669,000 in chips, followed by Gerrit Muller (544,000) and Michail Kavouras (488,000). Among those to bust in the money were Philipp Zukernik, Miroslav Prochazka, Anatolii Zyrin, Hannes Neurauter, and Corentin Schmauch. While most of the Day 1A players were from nearby countries, it wasn't an all-European affair in one of the biggest poker arenas of Europe. Several well-known American poker pros made the trip to King's Casino including current 2018 WSOP Player of the Year leaderboard contender Shaun Deeb, the six-time WSOP bracelet winners Jeff Lisandro and Chris Ferguson, Dutch Boyd, Roland Israelashvili, and Allen Kessler. They were joined by China's Guoliang Wei and Brazil's Renato Kaneoya, but none of them made it to the money. For Boyd, it was the first poker trip outside of the United States. Things kicked off nicely for the three-time WSOP bracelet winner, as he scored the first elimination of the day not even 10 minutes into play. Boyd's kings held up against queens, and the American sent another opponent to the rail in a flush-versus flush scenario before the first break. However, the run good came to an end just before the second break when Boyd lost a flip with queens against the ace-king of Artem Miller. Teunis Kooij, Sander van Wesemael, Martin Kabrhel, Sebastian Langrock, Andrey Andreev, Anatoliy Korochenskiy, Casey Kastle, Renato Kaneoya, and Matous Houzvicek were some of the more well-known European players to take a shot at the first gold bracelet of the festival. Kabrhel, who comes fresh off two victories in WSOP Circuit ring events and the top spot on the leaderboard, entered late and immediately won a flip to double. Shortly after the registration had closed, Kabrhel was eliminated in a three-way all in when his flush draw failed to get there against an open-ended straight draw and the pair of aces of Meir Avigal. The eliminations kept coming at a rapid pace, and the money bubble was reached in level 15. Two pair of queens, a pair of kings, and ace-jack suited were part of a four-way all-in showdown as most of the remaining players gathered to see the biggest pot of the day thus far. Gil Thierry and Giuseppe Tedeschi drew the short sticks and busted, but Michail Kavouras quadrupled up thanks to an ace on the river. Hand-for-hand play lasted one full level, and it was Paul Berende that then ended up as the bubble boy after losing a flip with nines against the queen-jack of eventual chip leader Dariusz Glinski. Once the money bubble burst, the floodgates opened and the remaining field was cut in half before bagging and tagging got underway. Several hopefuls went from hero to zero within half an hour, including Corentin Schmauch, who was second in chips in the final level of the night only to bow out in the very last hand and take home €1,023 for his efforts. The second starting day of the €550 buy-in 2018 WSOPE COLOSSUS will kick off at 6 p.m. local time on Wednesday, October 10th, 2018. The PokerNews live reporting team will be back on the floor to cover all the action.